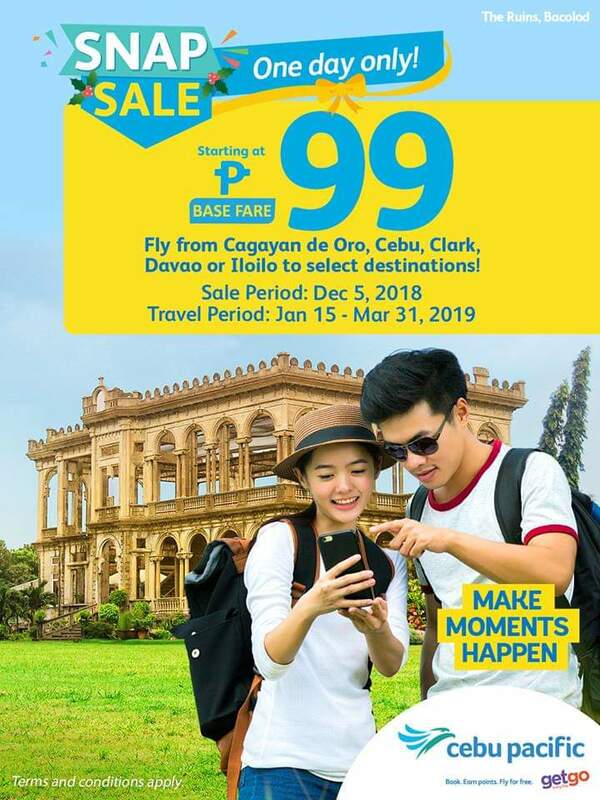 Make your first happy moments happen with Cebu Pacific Air! Time to wander around our favorite Philippine destinations this 2019. For as low as 99 base fare only, you can fly and take those instragrammable local destinations. Grab this super low fares as this promo runs for 1 day only.